What do private guitar lessons cost? 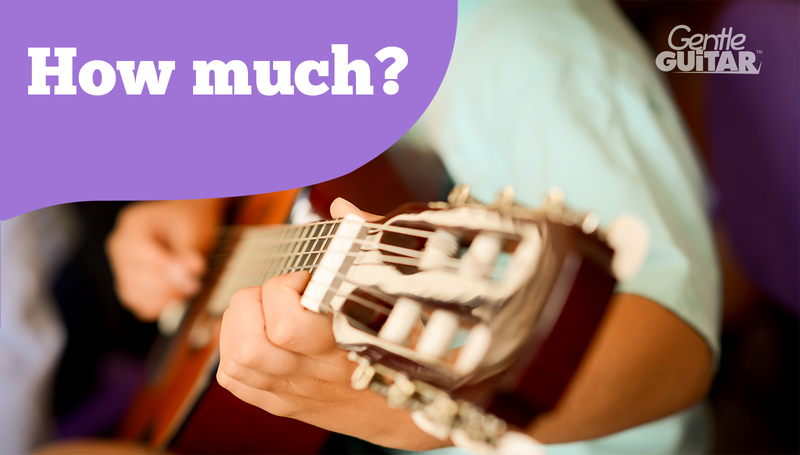 It’s hard to generalize about the price of quality private one-to-one guitar lessons for kids. Costs fluctuate world-wide based on teacher expertise and experience, your country’s economy, and the teacher’s location (whether rural or urban). In some cases it could be in your best interest to find a very good local teacher, while in other cases it’s better to search for an online tuition provider with distance-learning options, such as those Gentle Guitar offers via Skype. The decision whether to go local or search beyond your area depends upon what you’re looking for and where you live. The chances of finding a suitable local teacher are tiny if you live in a rural community and slightly greater if you live in a large town or city. Finding exactly the kind of teacher your child needs is of course easiest online. If you broaden your search to include not just your hometown, but the whole world — you’re likely to find just the perfect teacher for your family. With online education for kids growing in popularity, so are qualified educators and fantastic programs. You’re no longer limited to the options available in your town or even in your country! I hope this guide to prices will help you find the ideal teacher that’s right for your family’s values and your budget. Approximate lesson costs by country. Indicative prices for a 30min one-to-one weekly lesson, as-of February 2017 (English speaking territories and Europe). Guitar tuition prices in North America, just like the median family income, vary across the country. In higher income states: Maryland, New Jersey, California and Connecticut the average price for a 30min lesson is $30 – $35 USD per week. In states with lower median incomes, guitar tuition averages at $25 for a 30min lesson. Music tuition runs about $30 – $35 NZD/AUD per 30min lesson in these two countries. This equates to about $23 – $25 USD. Canadian music tuition runs at about $24 – $30 CAD, which is between $18 and $24 USD. In the UK average music lessons cost 15 – 20 GBP, that’s $19 – $25 USD per 30min lesson. European prices vary. For example, in Denmark a private 30min guitar lesson costs from $30 to $45 USD. In Paris guitar lessons average about $30 to $35 per lesson. In Brussels a 30min lesson is about 30EUR, about $32 USD. The average cost of a quality 30min music lesson is between $25 and $30 USD world-wide. At the end of the day, let your decision be based upon your personal values and the teacher’s personality and experience. Some tuition providers offer group lessons or shared lessons to help you get a quality tuition at an affordable price. At Gentle Guitar we offer both one-on-one and shared lessons. Book a free trial lesson to sample our tuition and learn more about our pricing and options. Music tuition is not an industry that generates large profits, and full-time private teachers work hard to make a living. Teachers who charge higher prices are typically experienced, reputable, well equipped and efficient educators. By having fewer but higher quality students they are able to focus on quality rather than quantity. Specialized teachers around the world often charge above $30USD for a one-to-one lesson and have a waiting list of students. Reputable teachers are known to charge up to $40USD for a 30min lesson. If you want the best for your child, that means you might need to pay a higher than average lesson fee. But be careful, more expensive isn’t automatically better. Kids learn differently than adults and should work with a teacher who can meet their needs. Teachers offering cheaper prices, below $30USD or $25USD, usually teach a high volume of students in groups, or tend to be either part-timers or those who work overtime to make ends meet. As I mentioned earlier, you get what you pay for. Does your child deserve to get a tired, stressed, overworked or inexperienced teacher? Quality and effectiveness of teaching are better value in the long run. Have you noticed that piano lessons tend to run more expensive than guitar lessons? Why’s that? Could it be because most piano teachers also teach music literacy and standard notation while most guitar teachers don’t? The majority of guitar teachers teach guitar by ear or by TAB. Gentle Guitar™ is one of the few tuition providers in the world that teaches music literacy to young children on the guitar. If you’re looking for kids guitar lessons that are fun, academic and effective, you’ve found them! Our lessons are packed with value at a price that families can afford. 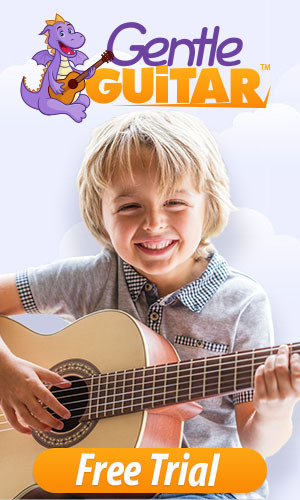 At what age can kids start guitar lessons ? It’s easy to say not to worry about the COST of lessons, but for those of us with a tight budget, the cost DOES matter & is the difference between being able to take lessons or not.